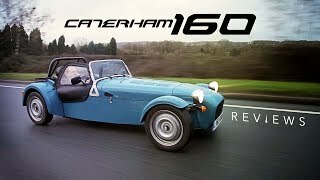 Caterham has launched the 2014 Seven 160, the new entry-level variant of the iconic sports car, powered by a super-compact, turbocharged Suzuki engine. The Seven 160 – EU customers will get an altered version, called 165. The 2014 Seven 160 offers something truly different to the entry-level market. It’s more economical, more accessible and every bit as fun on the road as other Sevens but has its own unique personality. 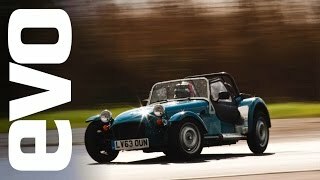 The new rear axle complements the engine and lower overall body weight, while delivering Caterham’s acclaimed, intuitive handling experience and a balanced yet playful chassis. The number five at the end of the EU spec car’s moniker signifies that the vehicle complies with the EU5 emissions standards. 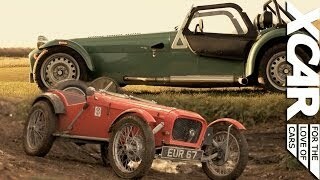 The new Caterham Seven 160 is powered by the 660cc three-cylinder turbocharged Suzuki engine producing 80hp. 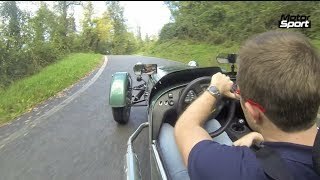 It can accelerate to 60 mph in a brisk 6.5 seconds and reaches a top speed of 100 mph. Production will begin in January 2014, with first deliveries later that Spring.